I was poking through the abstracts of presentations for the upcoming meeting of the American College of Sports Medicine the other night and came across one for a study comparing injury rates between traditionally and minimally shod US Army soldiers. Titled “Injury Risk and Performance among Soldiers Wearing Minimalist Running Shoes Compared to Traditional Running Shoes,” the study was carried out by a team of researchers from the Aberdeen Proving Ground in Maryland led by Tyson Grier. Among the co-authors is Bruce Jones, who was a member of the team that conducted a series of studies showing that assigning shoes to soldiers based on arch shape was no more effective than simply assigning them all stability shoes by default. It’s worth emphasizing that this is an abstract of a presentation, not a peer reviewed journal article, so it has not yet been vetted by the scientific community. But, since I am familiar with previous work from members of this group I suspect it will wind up in a journal soon. METHODS: Participants were men in a U.S. Army Brigade Combat Team (n=1332). Physical characteristics and Army Physical Fitness Test (APFT) data were obtained by survey. Fitness performance testing was administered at the brigade and the types of footwear worn were identified by visual inspection. Injuries from the previous 24 months were obtained from the Defense Medical Surveillance System. 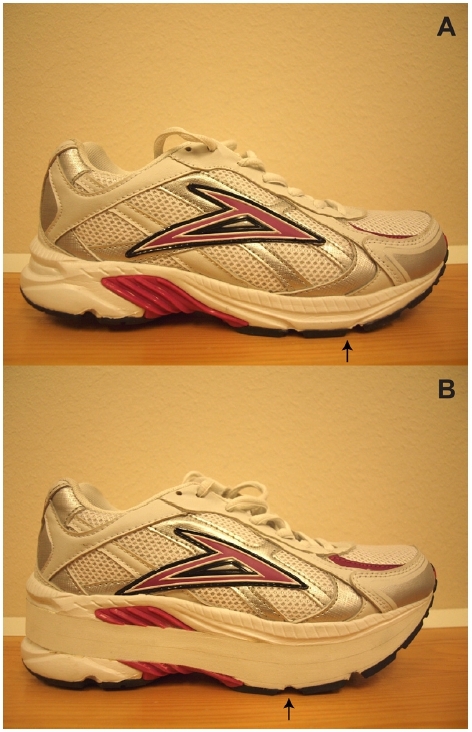 Shoe types were categorized into 2 groups: TRS (cushioning, stability, motion control) and MRS. A T-test was used to determine mean differences between personal characteristics and fitness performance metrics by shoe type (MRS vs. TRS). Hazard ratios (HR) and 95% confidence intervals (95%CI) were calculated to determine injury risk. You’ll note that the study looked at a very large sample of over 1000 soldiers. I’m not entirely sure what criteria were used to differentiate minimal vs. traditional shoes, but I don’t fault the authors since an abstract rarely gets into that level of detail and I assume that information will come in the presentation or the journal article when it is published. I’m also not clear if the soldiers were wearing the particular shoe types for the entirety of the 24 month tracking period. A strength of the study is that they are not relying on self-reported injury information – it comes from the Defense Medical Surveillance System. RESULTS: A majority of the Soldiers wore cushioning shoes (57%), followed by stability shoes (24%), MRS (17%), and motion control shoes (2%). Soldiers wearing MRS were younger than those wearing TRS (24.3±5.4 years vs. 25.3±4.8 years, p<0.01), performed more push-ups (69.1±13.5 vs. 64.2±13.4, p<0.01), more sit-ups (71.6±11 vs. 68.3±12.1, p<0.01), ran faster during the 2 mile run (14.5±1.5 vs. 14.8±1.6, p=0.01), excelled on the vertical jump test (23.5±4.2 vs.22.6±4.4, p<0.01), performed more pull-ups (7.7±5.2 vs.6.2±4.4, p<0.01), completed the 300 yard shuttle run faster (70.1±8.1 vs.71.8±9.1, p=0.03), and scored higher on the Functional Movement Screening test (17±2.2 vs. 16.3±2.5, p<0.01). When controlling for personal characteristics, physical fitness, and a history of prior injury, there was no difference in injury risk in the previous 12 months between Soldiers wearing MRS compared to Soldiers wearing TRS (HR (MRS vs.TRS) 95%CI): 1.03 (0.80-1.33, p=0.82). In light of the post I wrote yesterday on shoe sales and what runners are wearing, it’s worth noting the discrepancy between minimal shoe use among the soldiers versus other shoe types. 17% were wearing minimal shoes, only 2% were wearing motion control. Minimal shoe use was not far behind use of traditional stability shoes (24%) in this military population. If you’re a minimalist advocate you might love the following statement from the results: “Soldiers wearing MRS were younger than those wearing TRS, performed more push-ups, more sit-ups, ran faster during the 2 mile run, excelled on the vertical jump test, performed more pull-ups, completed the 300 yard shuttle run faster, and scored higher on the Functional Movement Screening test.” I wonder how long it will take for this line to wind up in shoe company marketing materials. It’s important to remember that correlation does not equal causation, and this result does not mean that they excelled in these areas because they wore minimalist shoes. It could simply mean that younger, fitter, more athletic soldiers prefer minimal footwear. The result that may be of most interest in light of the great footwear debate of the past few years is the fact that when they controlled for the various differences between the groups, there was no difference in injury risk between the soldiers wearing the traditional shoes and those wearing minimalist footwear. This result will be likely spinned in one of two ways depending on the bias of those reporting it. Minimalist skeptics will say: These results show that the minimalist advocates are full of it, and minimalist shoes are no cure-all. They would be right (at least regarding the second part). Minimalist advocates will say: These results show that all of the cushioning and “technology” jammed into traditional running shoes provides no benefit over a simpler, more minimal pair of shoes when it comes to injury prevention. The marketing hype is a bunch of bunk. They would also be right. Those saying that minimal shoes are too dangerous have no leg to stand on. They don’t appear to be any more dangerous than traditional shoes. Those touting minimalist shoes as the one and only way are also wrong. Soldiers wearing them got hurt at rates equal to those in traditional shoes, and some people appear to do just fine in traditional shoes. It would be nice to see a similar study focused solely on runners, but I’m pretty sure this is the biggest study we have on the subject so far, and soldiers presumably do a fair amount of running (if I’m wrong, feel free to correct me). What I keep coming back to is that each runner is an individual, and their needs must be considered on an individual level. Some will do well in traditional shoes, some will do well in minimal shoes. People will get hurt in both. The challenge is figuring out what type of shoe will most benefit each individual – this is where knowledgeable coaches, therapists, running store employees, etc. are so valuable. They handle the n=1, and for the runner in pain, that’s all that matters. Do Vibram Fivefingers Increase Risk of Foot Stress Fractures? 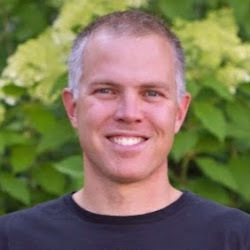 : Some Thoughts on Recent Research Foot Strike, Running Shoes, Barefooting, Injuries, and Biomechanics: The Importance of Both Science and Anecdote Treating Plantar Fasciitis With Foot Strengthening vs. Stretching: Different Takes on the Same Study Can Rocker Soled Shoes Benefit Runners With Forefoot Pain? Does Stability vs. Neutral Categorization Influence Whether I’ll Try a Given Running Shoe? Minimalist shoes like Vibrams were banned from Army fitness tests… What exactly was the definition of “minimalist” that they were using? No info on that in the abstract. I have seen a huge uptrend in minimalist shoes in the Army in the recent years. The New Balance MT10 are sold in almost every Post Exchange here in Germany and they’re often out of stock of most common sizes. They’re also extremely common to see out during physical training. Merell Trail Gloves are seen with some frequency due to the aforementioned Vibrams ban while in a physical fitness uniform. Trail Glove, fine. That’s a zero-drop shoe, at least. The MT10, however is a 4mm-drop shoe, which we know is enough to trick you into a heel-strike. WIthout knowing what “minimalist” means it’s tough to say if they’ve got a valid distinction between their two groups. 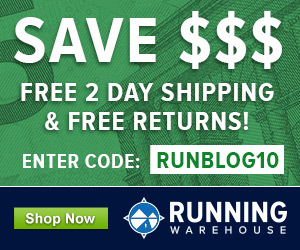 50% of the runners I filmed who were wearing Vibrams at the NYC Barefoot run were heel striking. So was the Vibram ban more about the toes than them being too risky? I.e., the appearance was not acceptable? Exactly, they don’t present a “uniform, military” appearance. I’d agree, except for some of the bright yellow and green shoes that I’ve seen in a PT formation. They don’t specify in the abstract whether the better performance was baseline or at the conclusion of the measurement period. Either way, seems like there is a selection bias. You can’t really control for age, previous injury, athleticism, or anything else if your comparison populations differ fundamentally. And based on their percentages, they’re comparing 226 minimalists v. 320 traditionally shod soldiers. Not small populations, but not large, either. The best thing to come out of the minimalist movement was a better selection of shoes. The worst part was so-called experts interpreting studies however they saw fit (I’ve probably been guilty of this in the past to some extent too, though I have been making an honest effort to be more cognizant of “good” versus “bad” science and how I analyze research). So I’m really glad to see you preempt some of that in this post (and many of your other posts on research) and look at it pretty objectively. Guess that’s one of the upsides to your background in scientific academia! I’m assuming this was a retrospective study where the shoes were self-selected? (Just my guess based on them saying they collected injury data from the past 24 months). There’s part of me that wonders who had what type of running background, and whether anyone changed shoes during those 24 months, and whether things like worn out shoes and whatnot were accounted for, but with a sample size that big, I figure things like that become less important, and outliers for whatever reason don’t skew the data as much. (Plus not being able to control for that is all part of retrospective studies). Really, the big thing that’s standing out to me is that everyone in a sample of people was given a similar training load (I’m assuming this is how the military is operating anyway), and some people were able to adapt to it at the rate it was given and others were not, regardless of their footwear. I think your last paragraph nailed it very well, and that’s the biggest challenge, determining what characteristics do lend themselves to certain shoes, because I think by now most of us realize it’s not arch height, nor is it as simple as simply the extent to which the foot pronates, though it wouldn’t surprise me if certain structural factors and stride characteristics that contribute to the extent to which the foot pronates (pronation used in the normal part of stride sense, not in the “overpronation” sense, since how much pronation is good and acceptable seems to be pretty individual too) in some way do factor in. And I have little doubt that it’s a combination of factors, which is what makes everyone’s response to different footwear so individual. “What I would like to see is whether or not the injuries between the two groups differed” I agree, I actually made this same comment about the forefoot vs. heel striking that Craig references here in the comments. The fact that injury rates were not different is not as helpful as knowing patterns for specific injury types. Therapy would be very different depending on the type of injury. I agree with your comments on pronation as well. I don’t think shoes should be assigned based upon amount of pronation observed, but if there is a particular problem, such as medial shin splints or post tib tendinitis then looking at pronation makes sense. It could even be the case that the shoe is causing the problem if it is too soft and accentuating pronation. Bradley J. Warr, Rebecca E. Fellin, Peter N. Frykman, Shane G. Sauer, Donald L. Goss, Joseph J. Seay. runners had fewer running related injuries and better performance. determine if FS patterns are related to self-reported running injuries and performance. METHODS : 342 male Soldiers (24.7±5.1 y/o, 177.3+7.3 cm, 81.7+16.9 kg) from a US Army Combined Arms Battalion completed a FS analysis and survey. Multiple foot-strikes were recorded in the sagittal plane using a high-definition video camera as each Soldier ran through a designated lane at a typical training pace. Soldiers then completed a survey related to training habits and injury history. The association between FS and the occurrence of a running-related injury was analyzed using a Chisquared test. Kruskal-Wallis test evaluated relationship between reported days that training was modified due to injury as well as 2-mile run time between Soldiers with NHS and HS patterns. RESULTS: 13% of the participating Soldiers were characterized as NHS runners and 87% were characterized as HS. There was no significant difference (p≥.05) in the percentage of Soldiers reporting a running-related injury between those characterizedwith a NHS versus a HS (55.6 v 51.0%). 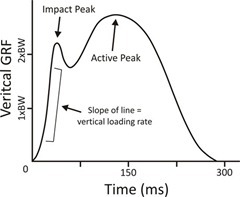 There were no significant difference between NHS pattern versus HS pattern in the number of days training was modified due to injury (21.8±78.4 v 13.9±49.5 days/yr), or 2-mile run time (14.8±1.6 v 14.8±1.7 min). CONCLUSIONS: This cohort of US Army Soldiers demonstrated a prevalence of HS similar to what has previously been reported in marathon runners. Based on this preliminary analysis, neither FS pattern is advantageous in terms of impact on selfreported, retrospective injury or performance. Anecdotally, I have proven that ‘good form running’ + minimal shoes (4mm or less) = less injury. I used to be a heel striker wearing traditional shoes. At that time I suffered from awful shin splints and various other leg pain. After fixing my form and switching to Kinvaras I’ve been injury free for more than a year. That’s the frustrating part of these studies. You have to pair the minimalist shoes with the form part of it. They go hand in hand. My experience is the same – never really injured in TRS, never really injured in MRS. But I enjoy running in light, simple shoes a lot more than in TRS these days and I’m really glad I went down this path. I think that’s why this study is important. One of the reasons some people have been hesitant to take or suggest the path you have taken is fear of increased injury risk. 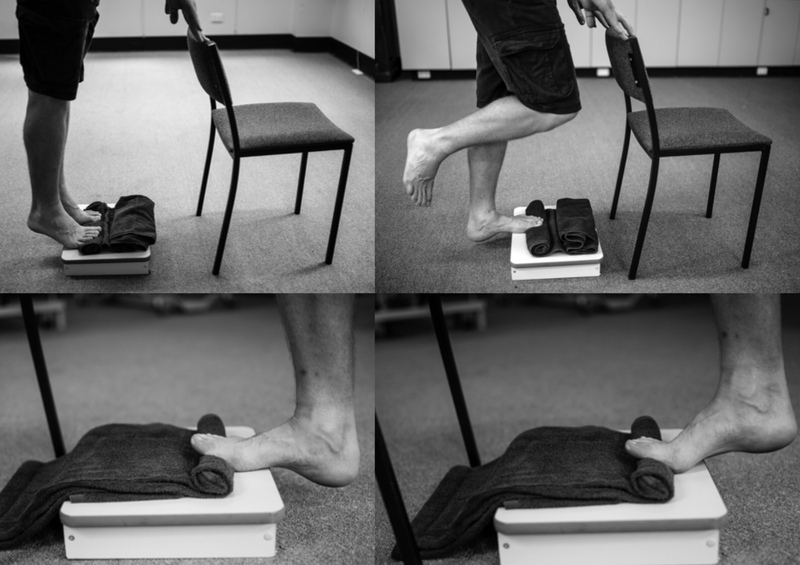 This study suggests that injury risk is not any higher than in a traditional shoe, so if someone in traditional shoes is having trouble then maybe they need not fear trying something different. There are too many strong opinions on both sides, and people saying that minimalist shoes are a recipe for injury need to be able to explain why we see results like this one when the shoes go head to head. same experience…last year I just turn to minimus ! If I’m reading it correctly, the soldiers were not randomly assigned shoes. The were self-selected by each individual soldier, probably according to their own history and experience. The participants had already honed in on a shoe type that worked for them, perhaps over a significant period of time, and maybe through multiple pairs of shoes. This seems like it would be a significant confound. It’s not a prospective study and that is always a concern. But, it’s the best we have so far. I think some results from prospective studies are coming. I prefer honest and objective, but suit yourself.